1. Li, Charles N. and Sandra A. Thompson. (1981). 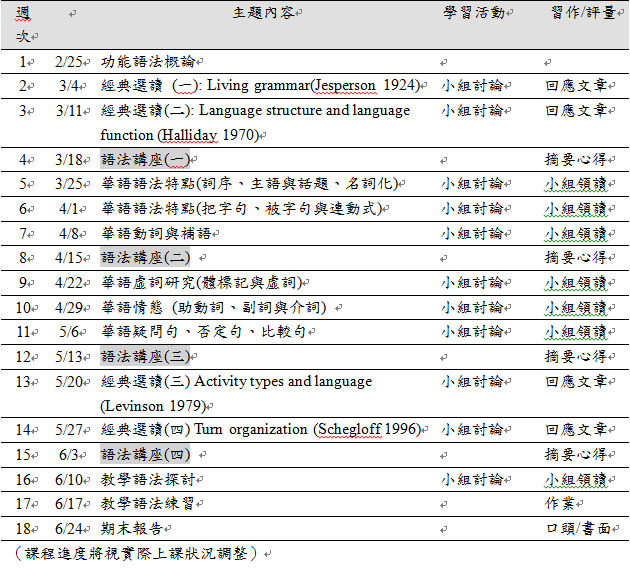 Mandarin Chinese: A functional reference grammar. Taipei: The Crane Publishing. 2. Chu, Chauncey Cheng-hsi. (1998). 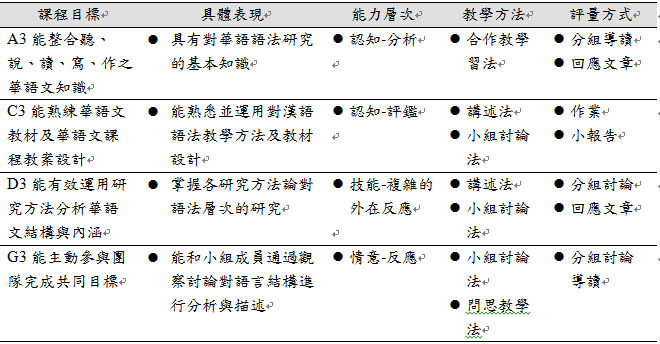 A Discourse Grammar of Mandarin Chinese. New York: Perter Lang. 1. Elinor Ochs, Emanuel A. Schegloff & Sandra A. Thompson. 1996. Interaction and Grammar. Cambridge University Press. 2. Halliday, M.A.K. 2002. On Grammar, edited by Jonathan Webster. London; New York: Continuum. 3. Jesperson, Otto. 1924. The Philosophy of Grammar. Chicago: The Chicago University Press.